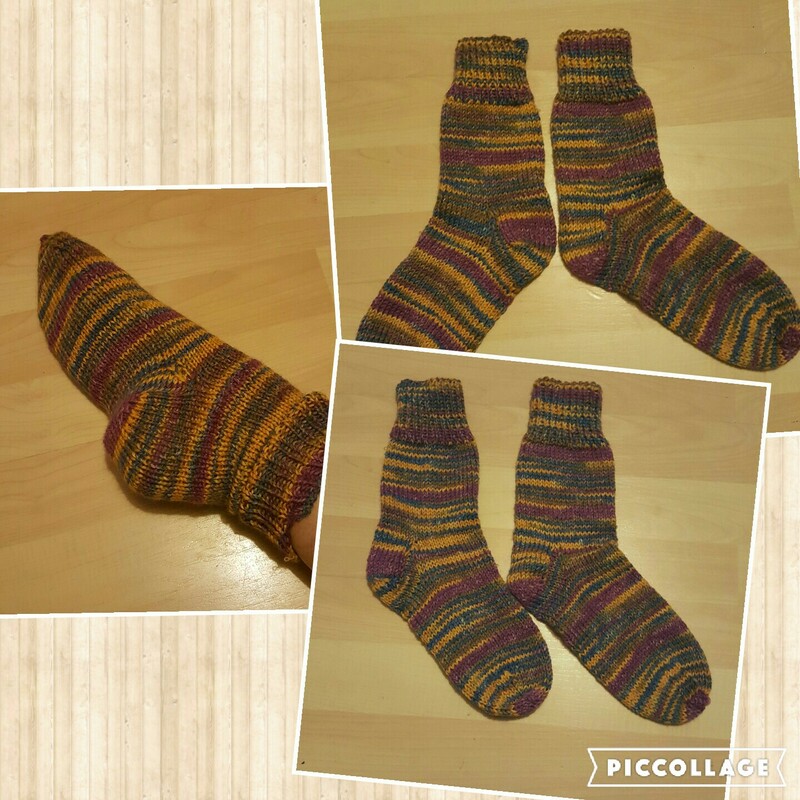 (Of socks, no filth on this blog!) Oh yes, I regained my knitting mojo and finished the other sock. I’ll be honest and say trying to create 2 identical things is actually quite tricky and at times frustrating. Sock #2 was on a lifeline for over a week as I couldn’t bring myself to start my 3rd attempt attempt at the heel. After recovering from the trauma I’m pleased to say that my socks are identical enough for me, and that’s all that matters. (I don’t know about you but I don’t spend a lot of my time looking at other people’s feet and wondering if their socks match!) The colours don’t match perfectly but they are the same size. 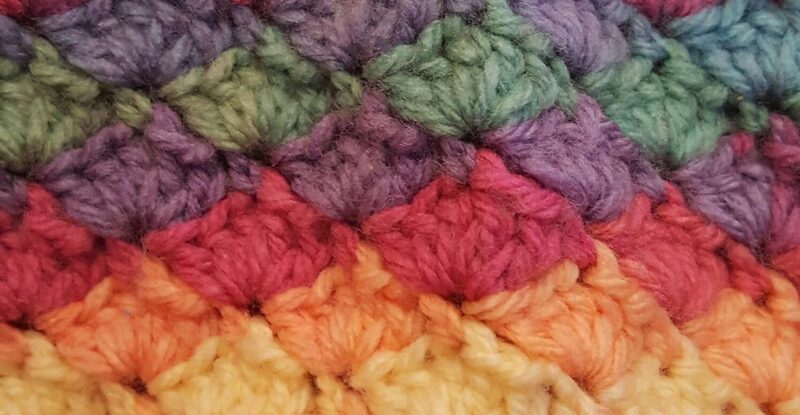 The repeats in the yarn seem to vary in length so I think I’d have probably given myself a headache trying to match them. They fit really well and are super comfy, I can’t wait to wear them! I followed a pattern from Suffolk Socks which was given to me when I purchased my yarn and needles from them at Yarndale. The lady on the stall have me some advice on the start of the ribbing and suggested not joining until round 3 so that there was even more flexibility and stretch. I also have 60g of yarn left out of 150g so I could make some ankle socks with shorter rib or a pair for my daughter. They are really slippy on our laminate floor though and I suspect she would enjoy that rather too much! The yarn is Opal DK sock yarn in Winter Solstice and the colours are growing on me more now I have worked with them. More socks are definitely on the cards now! Do you have a sock pattern to recommend? Proudly linking up with the lovely Janine at Rainbow Hare and her Wool on Sundays series. I love the look of them and i bet they are so warm and soft. I am quite admiring your work! On a side-note, my Yarny post is up, if you’d want to read it! It seems like it haha! INCREDIBLE socks! They make me think of Harry Potter for some reason. Actually … Ron Weasley. I have no idea why, but in my head they’re absolutely his – probably made by Mrs. Weasley on her own knitting needles! Good! Those socks NEED to be worn. Otherwise, how is the magic, which is knitted into each stitch, ever going to come to life?!! They look so professional! Honestly, you did a super job with these.